Our next Sunday Session is on the 10th of the 10th 2010 so you have no excuse for forgetting the date. We will be looking at the work of the Hungarian felt artist Judit Pocs. 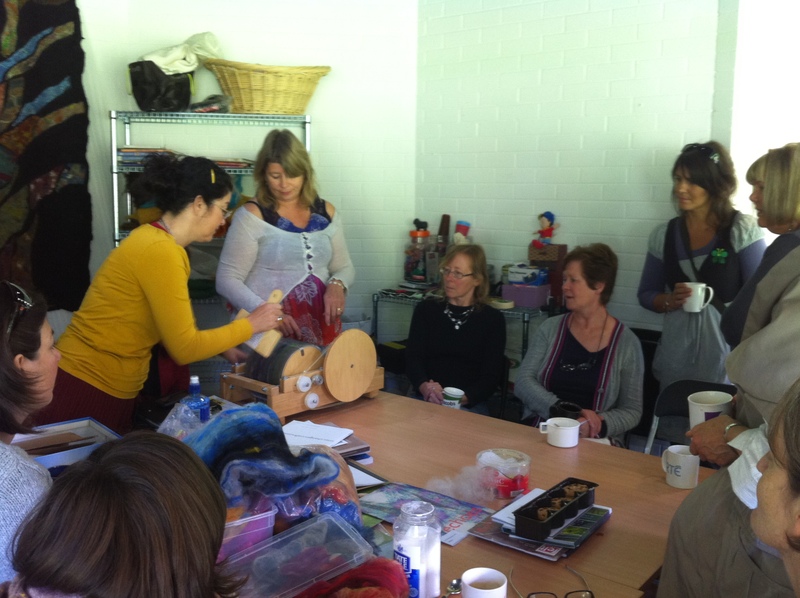 Some of the committee members have been lucky enought to have met with Judit and taken classes with her. Gabi Mc Grath (who is also from Hungary and is now living in Ireland), Sheila Ahern and Holly Angle will show some of the work they did with Judit and everyone can try out some of the techniques. We will also look at Judit’s award winning film “On Gentle Threads”, a real treat for anyone who hasn’t seen it yet. So make a date for the feltmakers Studio in the Phoenix Park next Sunday. Everyone is welcome 10.30 – 14.00.